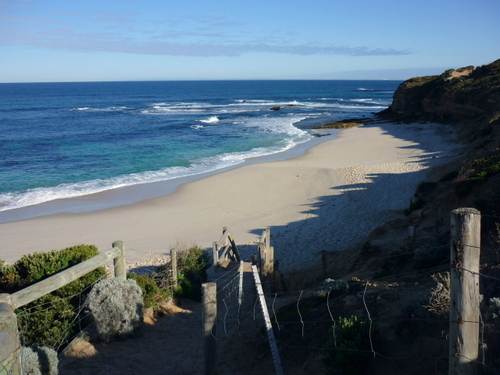 One of the best spots for easy walking in the bush and along the sea shore can be located at Point Nepean National Park. This beautiful spot is not far from Melbourne City, approx 1 1/2 hours from town. 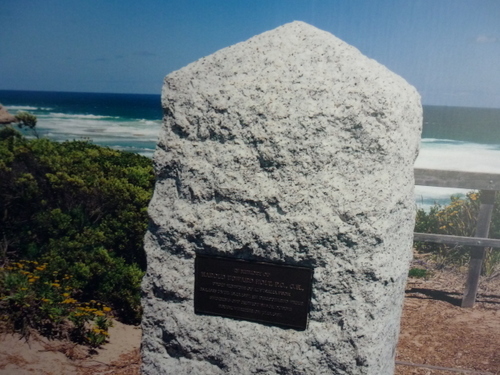 It is located at the tip of Mornington Peninsular. This remote place with panoramic views of Bass Strait is a must for all who loves going back to nature. 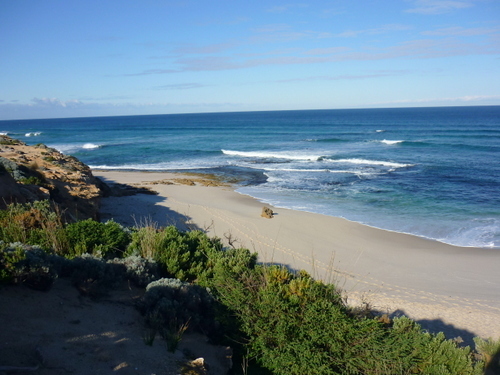 As you walk along the walking tracks, you may see bandicoots, wallabies and echidnas, and dolphins and whales in season. 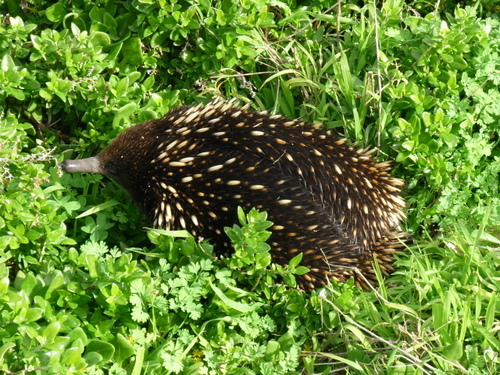 I was lucky and saw this echidna. I saw this lovely Echidna ! There are archaeological sites for budding archaeologist or anthropologist as it is well documented along the walks how Indigenous Australians gathered shellfish along this coastline for thousands of years. 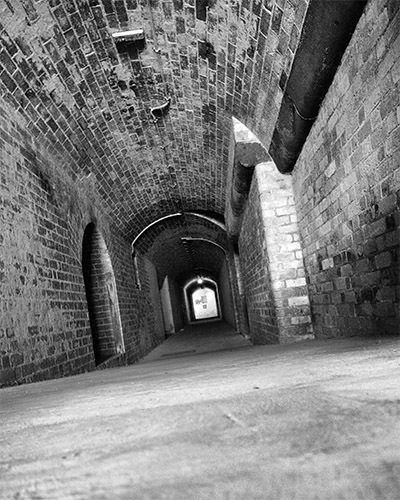 Here you can also explore the military forts and tunnels at historic Fort Nepean, an important defence post from the 1880s to World War II. Have you heard of the former Australian prime Minister Harold Holt who disappeared while swimming in 1967? Well it is happened here at Cheviot Beach and a memorial stone was erected to mark the spot where he disappeared and never to be found. Spooky ! 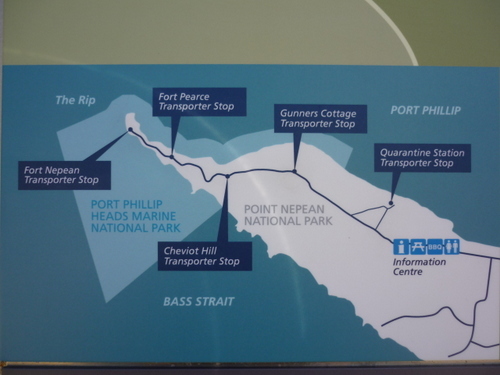 If you park at Point Nepean information centre, you can take a bus that will take you all the way to the tip of Point Nepean. One is not allowed to drive to Point Nepean. The furthest point you can drive to is Gunners Cottage. From there you can take the same bus to get to Point Nepean. The shuttle bus cost A$10 (return ticket) for adults and $7.50 for children and concession tickets. The bus comes every 15 minutes and stops for lunch between 12.45-1.45pm. If you don’t wish to take the shuttle bus, you can walk. Walking duration is marked on the sign board at the car park of Gunner Cottage. If I remember correctly, it is about 2.5km from Gunner’s Cottage to the tip of Point Nepean. Otherwise, you can rent a bike for $24.60 per bike from the Administration Building at the Quarantine Station. 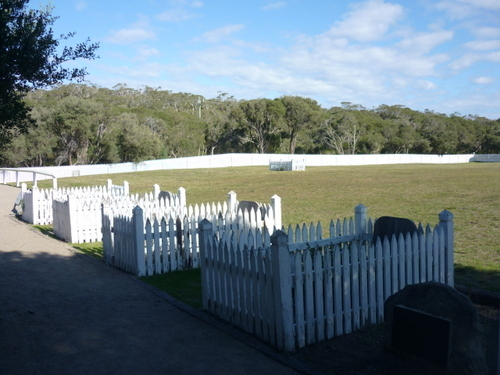 At Gunners cottage, you can take a leisurely walk to the Observatory point, passing the Point Nepean cemetery along the Walter Pisterman walk. 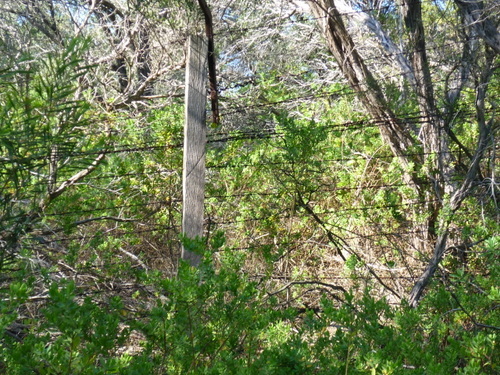 barb wire fence separating the former quarantine and military area. 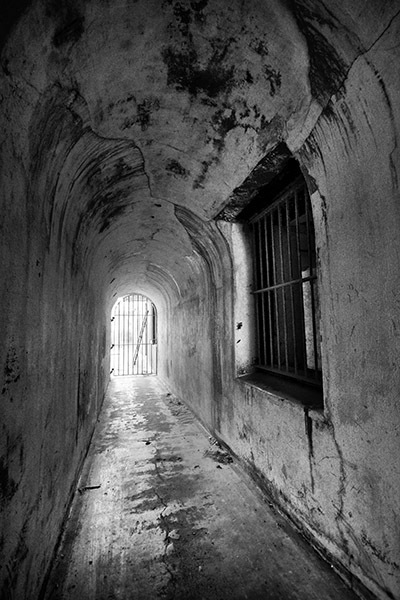 Along the way you can see the barb wire fence separating the former quarantine and military area. 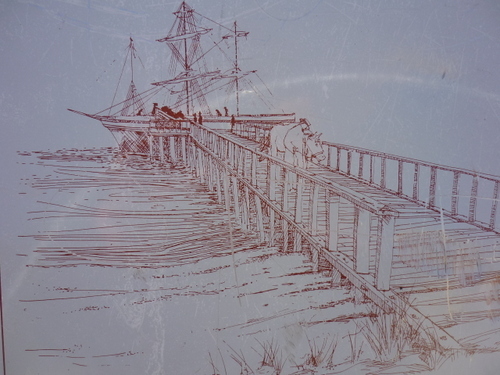 It takes about 7 minutes to get to the Observatory point and the to the beach and the old landing site of cattle jetty of the last century. It is called the cattle jetty as many migrants brought their own cattle, horses, sheep & goats to help them to start a new life on this land and landed at this exact spot. 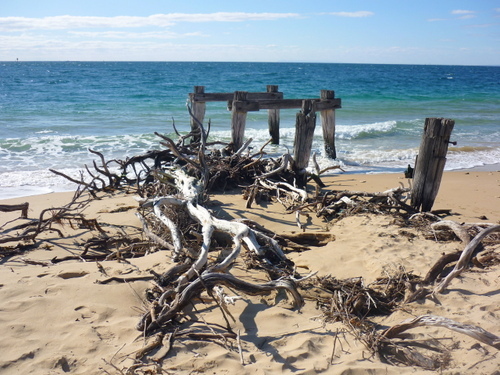 You can still see the remains of the cattle jetty from the last century. Truly amazing ! I really enjoyed going back to nature ! Tips: If you choose to walk to the tips of Point Nepean, remember to bring water & snacks with you as there are no shops there. You can purchase water and snacks at the administration building at the Quarantine Station. You can park your car there and take the shuttle bus from there. 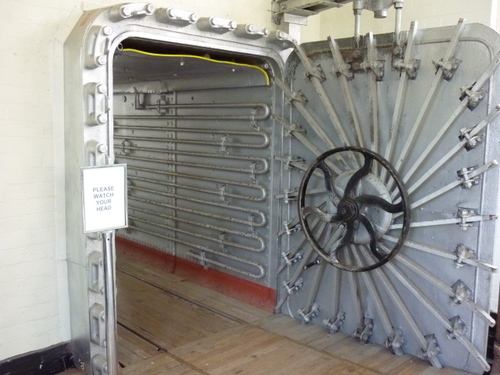 Quarantine Station at Point Nepean. We love to hear from you. Give us your feedback on this article. Leave us a comment.